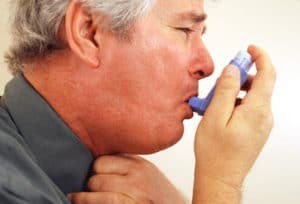 Chronic obstructive pulmonary disease (COPD) is an umbrella term used to describe a group of progressive respiratory diseases, including chronic bronchitis and emphysema, that result from lung damage. What causes COPD? What can I do to avoid getting COPD? In developed nations like Canada, smoking is the leading cause of COPD. Smoke from cigarettes, pipes, and cigars, as well as secondhand smoke and marijuana smoke, may all contribute. Between 20-30% of smokers develop COPD, and approximately nine out of 10 people who have COPD are smokers or former smokers. Those who do not develop COPD may experience other forms of lung damage or degeneration. In general, the longer you smoke, the greater your risk of developing COPD. Workplace or living conditions can also lead to COPD. This includes long-term exposure to chemicals, fumes, pollutants, or dust. Finally, some individuals may have a genetic predisposition that contributes to the development of COPD. Your lungs are like an air filtration system. When you breathe in, pollutants are trapped in a thin mucus layer. Small, hair-like cilia brush away these damaging particles so that when you cough, they are expelled with the mucus. Smoking destroys these hair-like cilia, which means that particles entering the lungs remain trapped there. 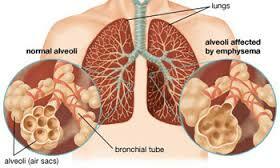 This results in damage to the tiny air sacs in your lungs (alveoli) which allow oxygen to enter into the blood stream. People with emphysema have this kind of damage to their lungs. Another way in which smoking can affect the lungs is by triggering excessive inflammation in the airways, including the bronchi and bronchioles. The inflamed airways become narrower, and excessive mucous is produced, making it harder for air to pass. This is seen in people with chronic bronchitis. The changes that smoking causes in the lungs make it harder to breathe, and result in the common symptoms of COPD, such as shortness of breath and coughing. Avoiding smoking or quitting smoking, if you have already started, is the single most important thing you can do to prevent or slow the progression of COPD. You Want to Quit Smoking. But How? We all know that smoking is not good for your health and it’s expensive. 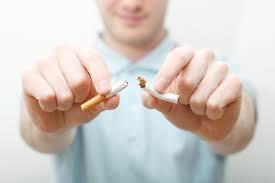 It’s estimated that more than 70% of smokers would like to quit. But smoking is an addiction, and people who quit smoking can expect to experience withdrawal symptoms. There are a number of different products and support tools that can help. Because smokers crave the nicotine in cigarettes, nicotine-containing products are commonly used to help smokers quit. Nicotine patches, gum and lozenges are available over-the-counter (OTC). Stronger nicotine patches can be obtained through prescription. Other prescriptions drugs used for smoking cessation in Canada include Champix and Zyban. These prescription medications can affect people in different ways, so it is important to let your doctor know if you think you are experiencing any side effects. It can be helpful to keep your mouth occupied by sucking on a hard candy, chewing gum, or drinking water. Keep your hands busy too! Take up hobbies that occupy your hands such as knitting and needle work, crossword puzzles, woodworking, or reading a book. You might have to avoid activities that you associate with smoking, as well as other smokers. 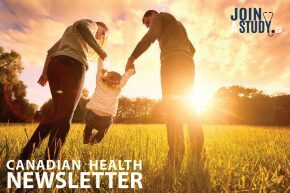 Having your family and friends support you in your goal to quit can be very important. Online support services may also be helpful, such as the Quitters Circle or Smokers’ Helpline. Face-to-face support groups are offered through community organizations, hospitals, and some workplaces. The jury is out on whether e-cigarettes should be used to help you to quit smoking. They are not approved for this use in the U.S. or Canada. In addition to nicotine, e-cigarette vapor can contain heavy metals and other substances whose long-term health effects are unknown. More studies are needed in order to clarify whether e-cigarettes can safely help smokers to quit. Exposure to chemicals and fumes in the workplace and long-term exposure to pollution and inhaling dust can increase your chances of getting COPD. It is important when working with irritants in the workplace that the proper equipment is used to reduce your exposure. The same is true at home. Always wear the proper kind of mask when using strong chemicals, or when sanding. Make sure that the area you are working in is well ventilated. Because second-hand smoke can also cause or worsen COPD, avoid situations where people are smoking. You should establish a smoke-free zone in your home and ask smokers who visit to take it outside! If you, or someone you love, is suffering from COPD you can help. Learn exercises for COPD patients and how to still live a comfortable lifestyle.